Secondary school can be quite a challenge, especially if you are a teacher and Arry Trumper is in your class... Now older and more dangerous, the boy Trumper, still preferring to be somebody else, runs amok at The Maxi Million Robespierre Academy in a series of comic antics, blags and ruses: even the most sophisticated workings of the CIA seem powerless to stop him. This account of Arry's various clashes with authority also contains many excellent hints and sound advice, essential to all early teens, on the art of communicating with dead pets and how to bring much-needed Christmas cheer to penniless boys and girls. As a special bonus, Arry also provides a handy guide on how to become a celebrity Black Metal rock star, and demonstrates that the road to a successful career in the modern Church need not be a difficult one, as long as you have a decent action plan under your cassock... 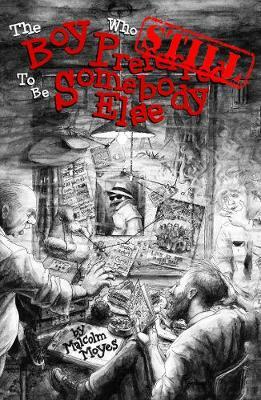 The Boy Who Still Preferred to be Somebody Else is an hilarious and engaging tale that will appeal to children aged 11+.